Burger Nation first opened its doors in a small/big town of Victoria TX on June 15th 2011. Soon after opening, thanks to the support of the community Burger Nation quickly became the go to burger joint for everyone in Victoria and surrounding seven counties. 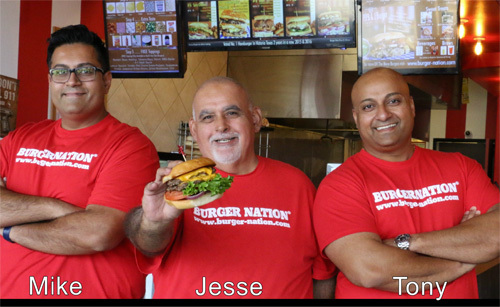 Burger Nation is a brain child of two brothers, Tony & Mike Mistry & "brother from another mother"(friend) Jesse Rojas. This set up a perfect merger of three brains where Tony & Mike brought the business experience while Jesse brought the operational acumen that is needed in the day to day running of the restaurant. The philosophy at Burger Nation has always been to give their patrons a quality product that is really tailored to their own liking, and this is what sets us apart from the crowd. Burger Nation is a place where one can get a simple downright old school, no frills burger or can come in and become a culinary geniuss by exploring all the diffrent buns, meats. cheeses & off the wall toppings selections it has to offer. 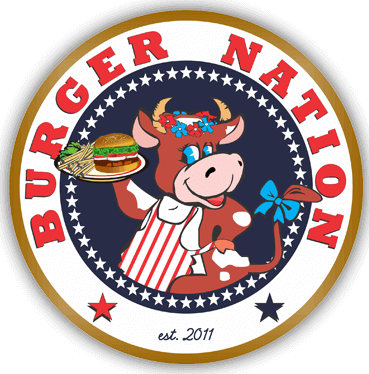 In 2015 Burger Nation opened up its second location across from the International Space Station Command Center (NASA Houston) and very quickly became a hit. 2016 brought a completely new frontier to conquer for Burger Nation, WE ARE NOW FRANCHISING! Thank You for your interest in Burger Nation® franchise. Please leave your information below so one of our franchise sales member can get in touch with you. How much capital are you willing to invest in your new Burger Nation® franchise?